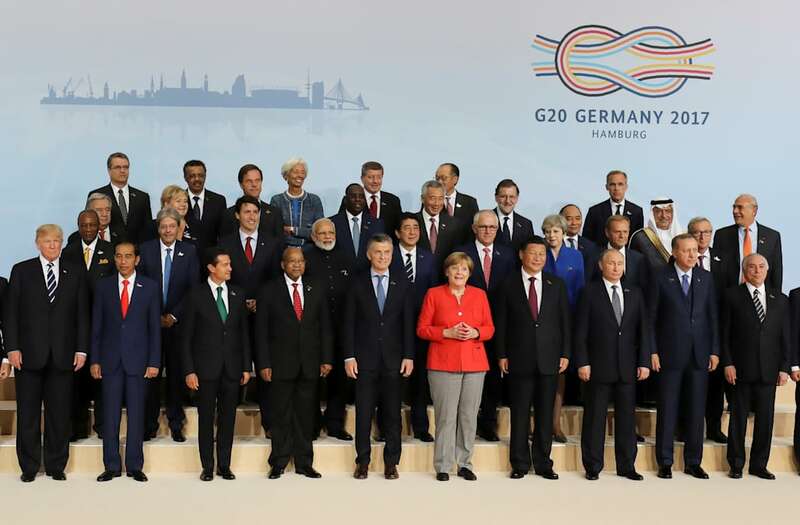 World leaders at the G-20 summit reaffirmed their solidarity on climate change, with one notable exception -- President Trump. A statement signed by all the participating leaders of the 20 largest economies noted "the decision of the United States of America to withdraw from the Paris Agreement." It goes on to say, "The leaders of the other G-20 members state that the Paris Agreement is irreversible." The U.S. fought to include a controversial passage in the communiqué saying it would "endeavor to work closely with other partners to help their access to and use of fossil fuels more cleanly and efficiently." German Chancellor Angela Merkel, who hosted the event in Hamburg, made climate change a central focus in the summit. According to the AP, she said Trump's position was "regrettable."